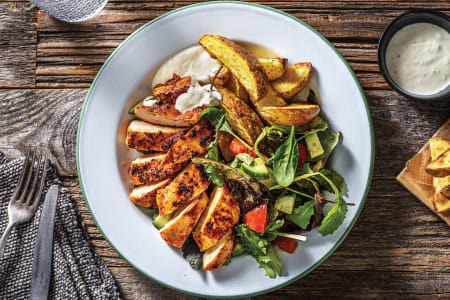 Successfully saved Portuguese-Style Chicken with Potato Wedges & Garden Salad to your Calendar. You can also save the ingredients to your Grocery List. Too often we reduce Portuguese cuisine to a certain Bondi-based burger, though we must agree it’s pretty bloody good. But throw in some potato wedges and a refreshing salad and we think this dish might give that burger a run for its money!